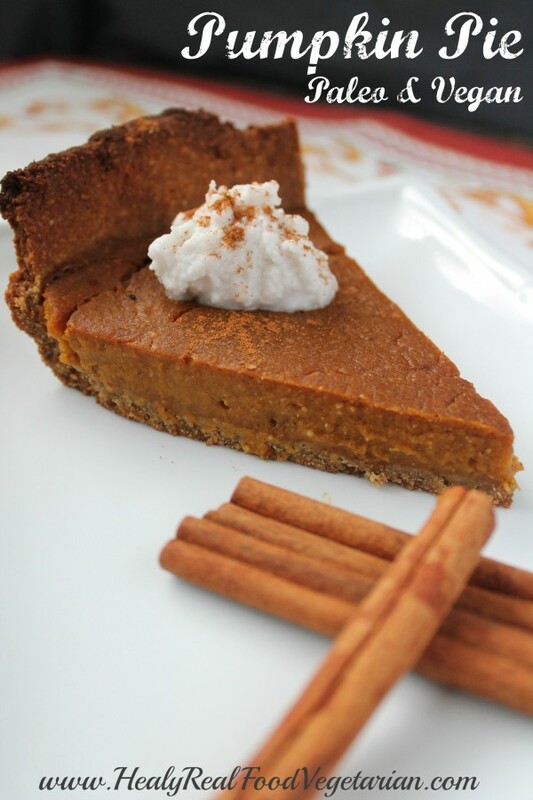 This paleo and vegan pumpkin pie is such a delicious winter treat! It would make the perfect addition to the holiday table. 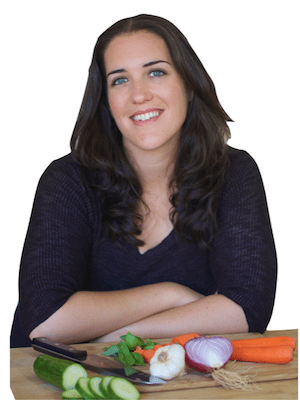 The best part is that it's all made with healthy real food ingredients! 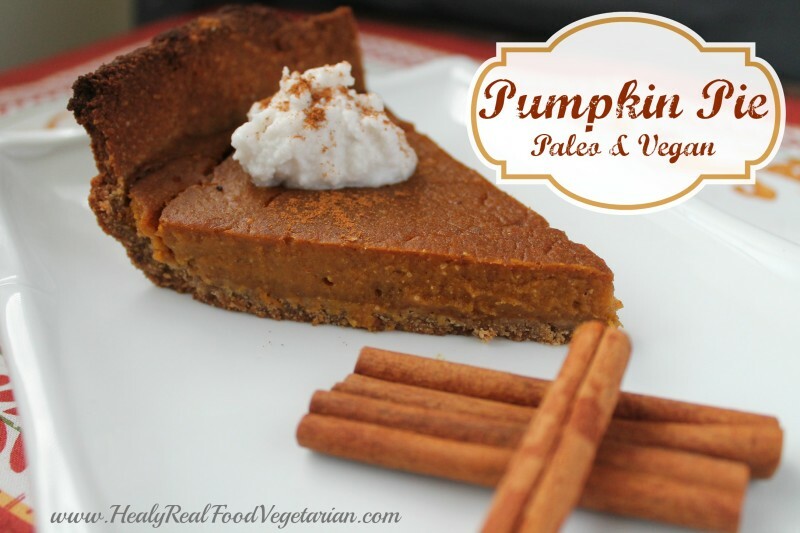 This paleo and vegan pumpkin pie is such a delicious winter treat! It would make the perfect addition to the holiday table. The best part is that it’s all made with healthy real food ingredients! When fall comes around I have to say I definitely get swept up into pumpkin-fever. I do love pumpkin flavored things. However, I do try to avoid all the sugar-filled processed pumpkin things that you see at stores and coffee shops. That’s why I make my own seasonal pumpkin things. In fact, you can check out all my pumpkin recipes here. 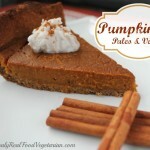 This paleo and vegan pumpkin pie is a great healthier version of your fall holiday favorite! 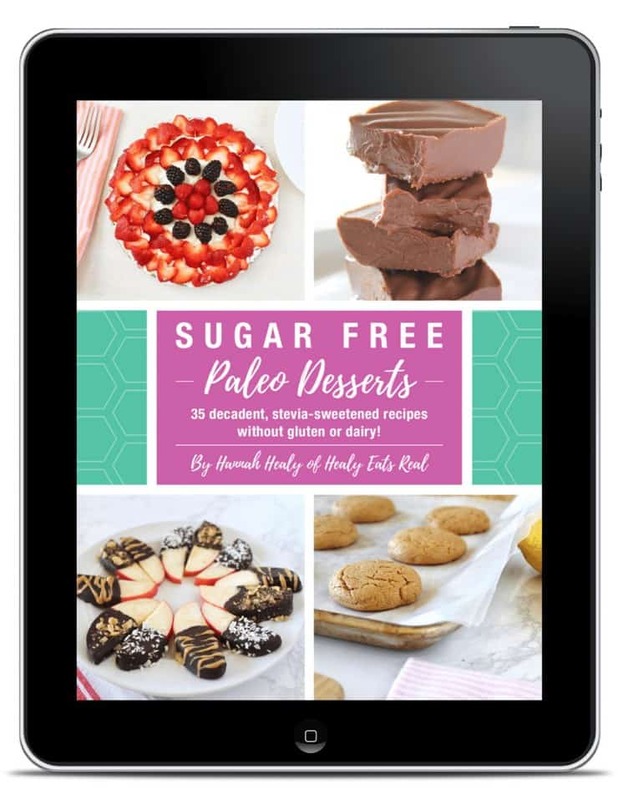 It is gluten free, dairy free and egg free and uses natural sweeteners. *To grind the flax seeds, process in a coffee grinder like this one. First, use this recipe to prepare the pie crust. After you've cooked the crust for 5 minutes, set the oven to 325°. To prepare the filling, first combine the ground flax seeds and water in a separate dish and set aside to gel. Once the flax mixture has gelled, use a food processor or hand mixer/blender to mix all the ingredients together until it is smooth. Pour the filling into the pie shell and bake at 325° for 30-40 minutes. Once it is done baking, allow it to cool and set for at least an hour. Nutrition facts below are for 1 slice (1/8 of the pie) including the crust. I love coconut oil on my gluten free toast, and in everything I used to use butter or other oils for; it’s so delicious and I love knowing I’m eating “health” instead of fat. I also love it in so many DIY products. It’s one of Gods perfect creations.